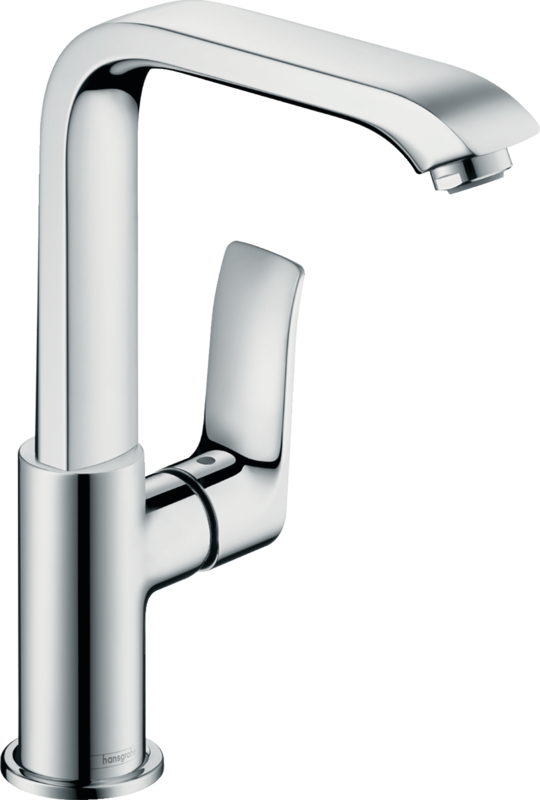 Design, ease of use and convenience are key features of the multiple award-winning Metris single lever basin mixer 230, which will enhance premium quality bathrooms. Its elegant, minimalist silhouette along with the lavish chrome surfaces and precision edges make it a timeless highlight. Thanks to the ergonomic, flat handle, the mixer is very easy to operate. With a 230 mm gap between spout and wash basin, 155 mm projection and a spout that can swivel by up to 120 degrees, the single lever basin mixer Metris 230 offers ample elbow room – ideal for washing hair or filling up large containers. 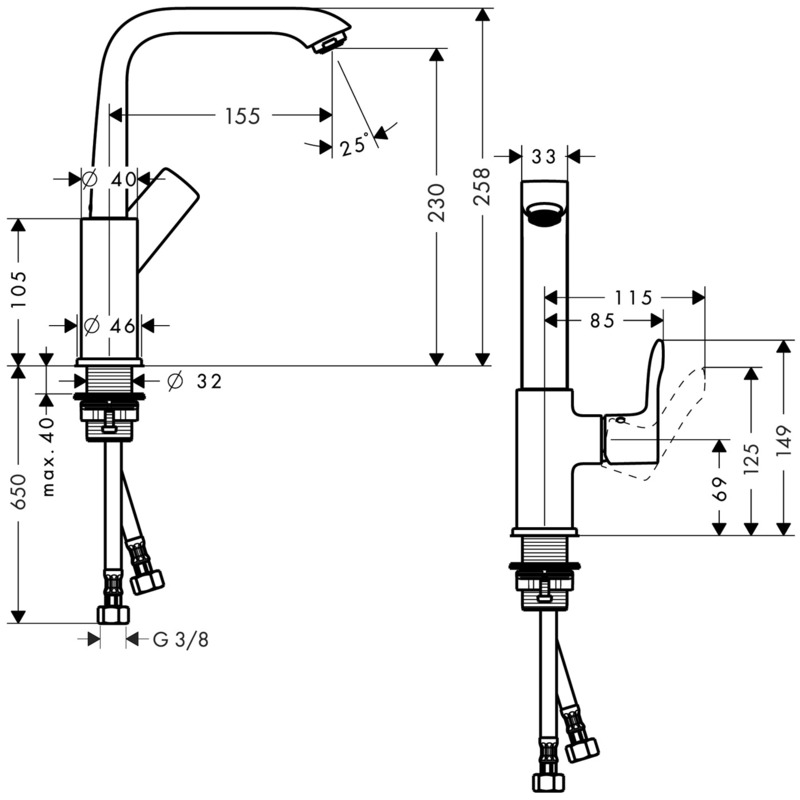 hansgrohe can reveal the wash basin that goes with this mixer in the ComfortZone test. 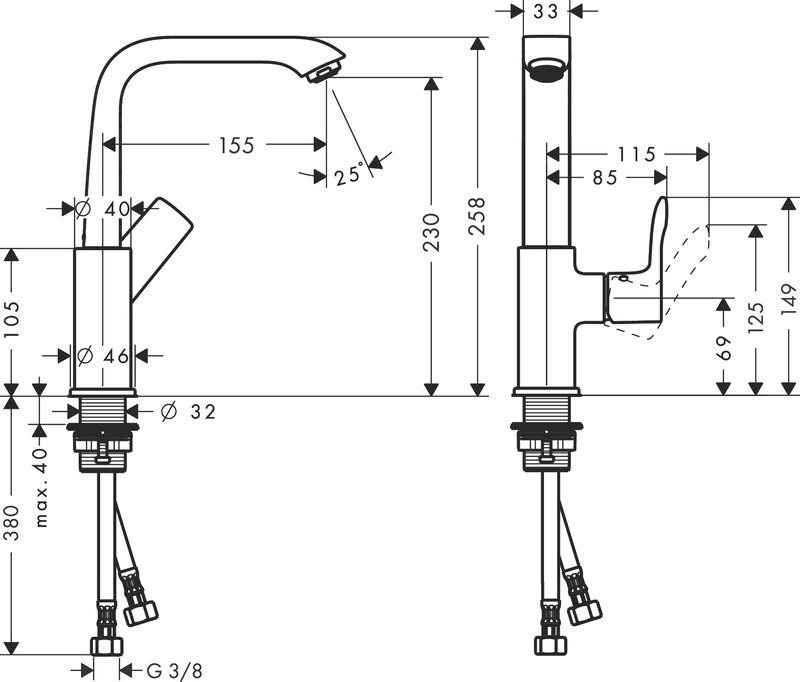 During installation, the maximum permitted water temperature can be set on the built-in temperature limiter. This offers protection from water that is excessively hot. The intelligent EcoSmart technology helps you save water. 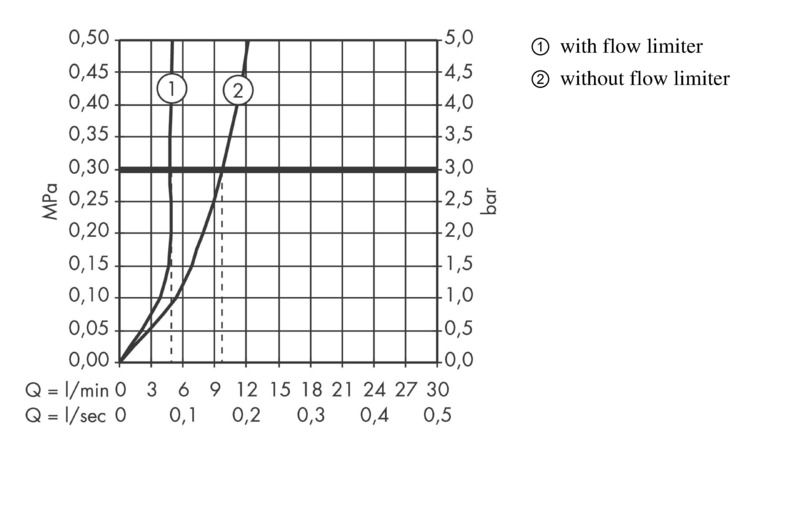 A maximum 5 l/min flows through this mixer. This conserves resources and also reduces the impact on your wallet. The water feels exceptionally pleasant on your skin, because it is automatically enriched with air thanks to AirPower technology. The mixer features hansgrohe QuickClean technology, making it easy to remove any annoying limescale residues: Just briefly rub over the flexible silicone nubs on the aerator to remove the deposits.